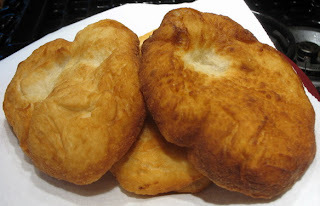 Although that's just a picture off the internet - that is about what my frybread looks like! 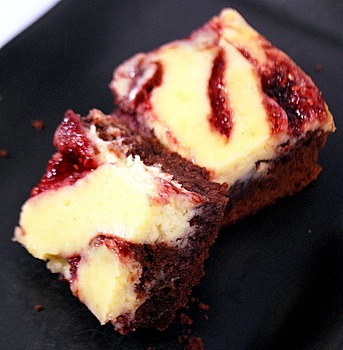 I brought some raspberry cheesecakes brownies to share. :) Hope you like them. Once again, it's too quiet. Everybody must be passed out from eatin' too much frybread and raspberry cheesecake brownies (thank you @subeeds). Now thats wut I call some good grub! It's about time you got back, lbbadtothebone! There's been a couple of whiny sissies running around here say, "Where is lbgood? I miss him so much!" You think you were married to them, or at least, sleeping with them!!! 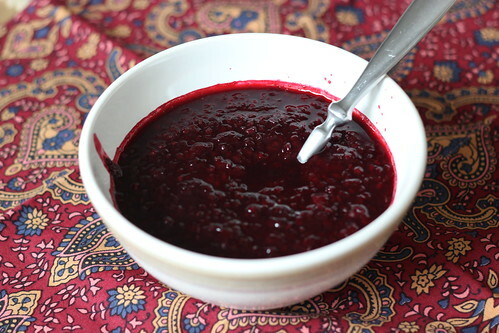 Goot to see you back. Did they have commissary where you were residing? Welcome back, lbgooder. How you been? Send me a ticket to Ft. Washakie. I can be there by Thursday!!! Hey our powwow is this weekend! Eastern Shoshone Indian Days!! Come early on Thursday for warm up night and to sample my famous Chinese Combo plate...raising money for my daughter to stay with her baby in Denver while he is in the hospital another month or so. Fried Rice, Lo Mein, mini egg rolls, Sweet & Sour Chicken and Beef & Broccoli. Joe's Dad, subeeds, Spiritflight and 1 others like this. I love me some blues! good company, good music, who wants barbecue? Me, me, me! I want bbq! We've been doing employment interviews all day and I didn't get a chance to eat lunch. I'm starving!!! If @subeeds is bringing potato salad, then I'll bring the cole slaw! I make tradish cole slaw, though. I don't add in any "alternative" ingredients, like one of the women I work with who puts in crushed, raw ramen noodles!